The Falls Retreat is a natural experience, a place you will want to share and return back to time and time again. We now run regular cooking workshops and gardening courses that are designed to give you top tips and lots of knowledge. Whether you want to improve your cooking skills or be a better gardener we know you will come away from the day feeling motivated and inspired. Enjoy amazing food in a relaxed and informal dining environment. Award winning chef Brad King offers a stunning menu including gourmet wood fired pizzas. Kids very welcome. We are a family run business and we try to live and do business ethically using local and homegrown products. We encourage our community and local farmers to come and 'Barter at the Bistro' with their produce and we compost and recycle all we can. 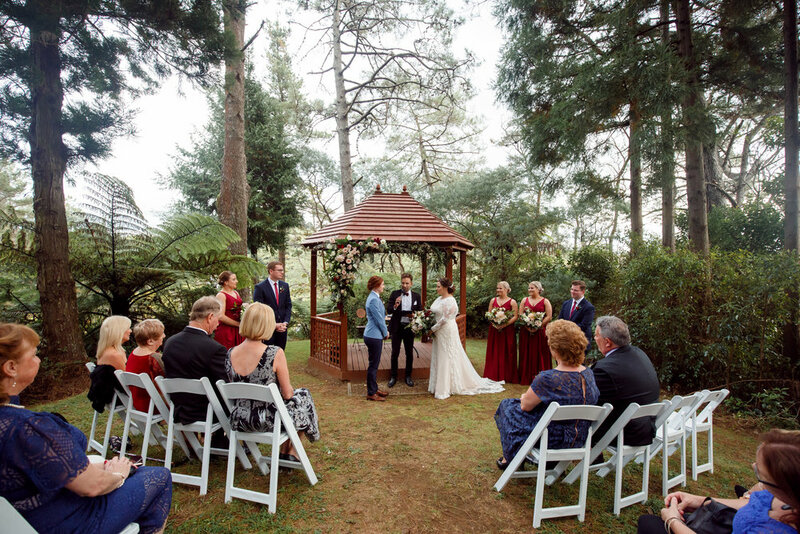 We specialise in personally tailoring functions and weddings with the backdrop of the beautiful Owharoa Falls. Enjoy the beautiful setting of this unique property and celebrate in style. There is so much to see and do around the Gorge that it is the perfect place for a family weekend, a romantic getaway or a place to rest tired legs after cycling the Hauraki rail trail. Come and experience the tranquility and beauty of The Falls Retreat, you won't regret it. Sign up with your email address to receive news, updates an special offers. We promise to not to bombard you with information but we will let you know about news, courses, and special offers for time to time.